Our professionals are simply the best in the business and take pride in their work. Call us today to schedule your appointment! Desert Air Conditioning offers a comprehensive Plan Service Agreement to extend the life of your equipment. We have multiple avenues to pursue, so there is financing available for everyone. Talk to us, we can help. Desert Air Conditioning Inc was started in 1954 by Les Shaw with one goal in mind –to provide the Coachella Valley with comfort solutions that not only fit their lifestyle but also their budget. 66 years and three generations later we still operate with the same philosophy. 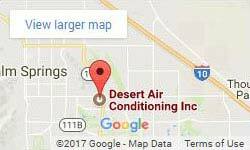 Desert Air Conditioning has earned a reputation of meeting our customers’ needs in a timely and efficient manner. We offer expert installation and maintenance by a skilled team of factory trained professionals you can trust. With our fleet of fully stocked trucks we can respond to your air conditioning and heating needs quickly and with skilled talent ready to remedy the problem. In the desert with our extreme temperatures you need a company that can perform your routine maintenance, replace your equipment, be there for emergency repairs or install a complete new system, Desert Air Conditioning is that company. We offer expert installation and maintenance by an experienced team. With our fleet of trucks and warehouse full of parts and equipment, all your heating and cooling solutions are just minutes away. Our friendly staff are happy to discuss any installation or upgrades you may be considering. We take as much time as you need to go over the different types of heating and cooling systems, the benefits of each, and the options for different manufacturers. Once your HVAC system is installed we offer a maintenance service plan to keep it running efficiently. Additionally, we can install money-saving zoning equipment. By adjusting the temperature of individual rooms at specific times, you can keep your home or office comfortable while not overusing your heating or cooling system when it is not necessary. Our staff have information to share with you on your options for zoning equipment–just ask! 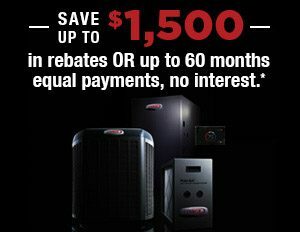 At Desert Air Conditioning we offer upfront, competitive pricing. We look for parts with the best manufacturer’s warranties and strive to save you money whenever possible. 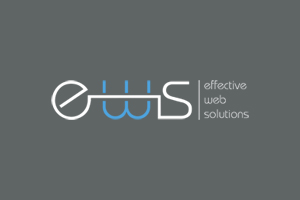 With our guarantee for all our work, you cannot go wrong. Contact Desert Air Conditioning today and let us offer you a free quote. North American Technician Excellence is the only national testing and certification program accepted by the entire industry. You can rely on Desert Air Conditioning, Inc.’s NATE-certified specialists to deliver the high level of comfort and service you, your family and business deserve.